That’s a gorgeous drawing, Laura! ❤ I absolutely love it. Thanks for the inclusion! Hooray for Charlie who fearless leads our artistic charges! So you do this every month? Just paint a bird? Lololololololol. That is why you asked me about birds and I am sure you mentioned why but it didn’t even click in my mind! How fun! I might have to get into this cuz I do like to paint birds. Thank you Laura! Love your bird and his sweet little eyes. They have personality, I swear. No one captures birds like Kathy! So glad you enjoyed it! Thank you! I spent a couple of days trying to draw a bird for this post, and they all looked demented and deformed. Idk what happened, because birds usually come to me, I’ve been drawing them the longest. Finally turned everything upside down to keep this one from going demented too. Kathy’s site is great if you’re ever looking for reference photos. Her birds always have personality! I think they know her and she knows them. Plus she has dynamite equipment and mad talent! He is definitely not demented. Thank you for mentioning Kathy’s site. I will check it out. I love animals with personality. You’re welcome, Carol! Totally loved your pelican. Really glad you started painting, you’re unstoppable now! As usual you are too modest! haha, thank you for saying so, Kerfe! Beautiful bird drawing Laura, this one has “the personality.” Amazing to see the list of participants with the bird challenge. Thanks so much, Mary. Honestly, Kathy’s photos make this so easy for me, as I think she knows her birds and they know her and she captures their personalities (seemingly) effortlessly! Glad you enjoyed this. Great expression as always! I keep forgetting to do bird day myself I must admit, but I so love looking at them, and really appreciate the effort you make in collecting them all for us. I must say I adore the Raven as well! I’m so you glad you like him, Iris! And glad you enjoy the collection. It is quite a time investment, doing this, but so many people love bird art and so many love creating it too that it just seems to work out! Thank you, Michael, I hope you are flying with us, and yay for the weekend!! You too, my friend. What a beautiful bird rendering! Love the pencil texture and light in the eye! Thanks so much, Cathe. I could draw with pencil forever if I weren’t a color addict. Much easier to draw than to paint! Glad you enjoyed it! Thanks for the links to the other blogs, I enjoyed looking at the other bird drawings as well as yours! Glad you enjoyed it, Tierney! We have a great community here. Thanks Sharon! Nice to see you! Stunning sketch Laura and I enjoyed checking out the other blogs and even started following a few thank you. Thanks for stopping by, Kath. Glad to oblige! Thanks! hehe. Love those bluebirds! I hope you’re having fun! 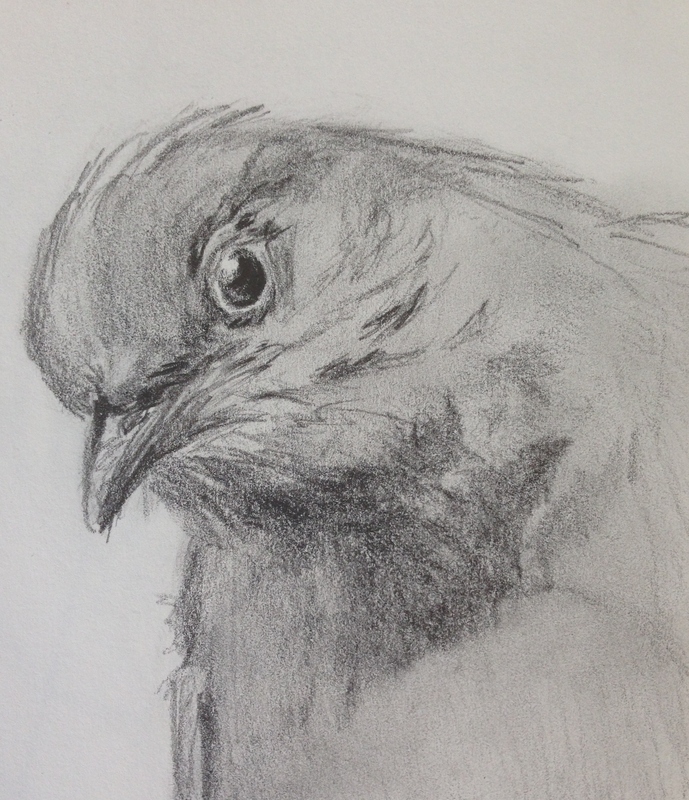 Thanks for the bird drawing roundup, Laura :-). I discovered a few new artists. Fun! Love your bluebird sketch. So full of personality! thank you for including me! I love these collages, although they are tedious to make. They are worth it, I think! Really uniquely gorgeous.